Truth, Beauty, Freedom, and Books: Should You Get a Kindle Voyage? 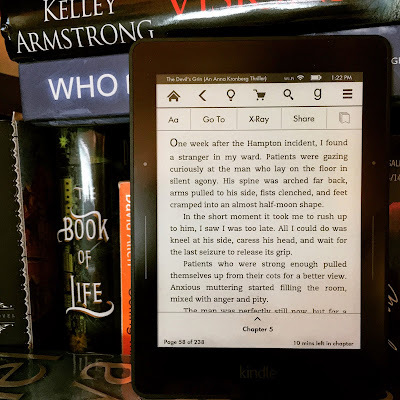 Should You Get a Kindle Voyage? If you like tech stuff, and you like to read, chances are you have an ereader of some sort. Aside from my phone and iPad, I've had a Kindle Paperwhite for the last two years and loved it. However, this year Amazon came out with an improved ereader, the Kindle Voyage, that I super duper wanted and got for Christmas. Yay! So, the question is: If you're thinking of replacing your older Kindle with the Kindle Voyage, or looking to get a dedicated ereading device (as opposed to just using your phone), is the Voyage worth it? I'm here to break it down for you! In practice, however, these small changes on the Voyage make a big difference! I love having the buttons on the side in case I'm holding it with my left hand, and I like not having to think about adjusting the lighting every time I move from indoors to outdoors or a bright room to a darker room. 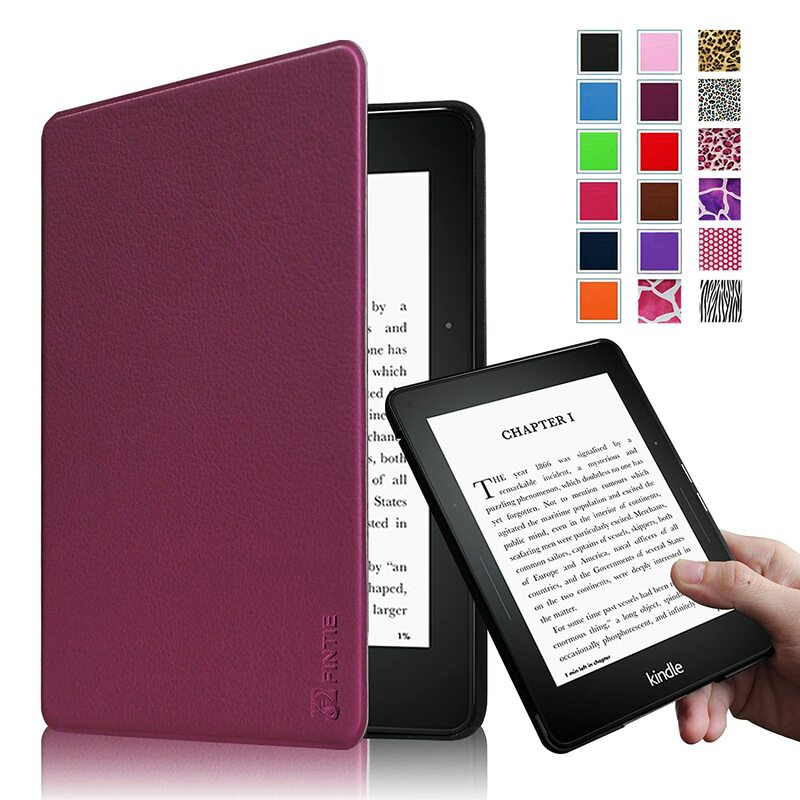 The smooth surface of the screen makes it much easier to turn pages via the touch screen, the lightness of the Voyage means it's super easy to carry around, and Amazon has done a good job of nearly eliminating the "etch-a-sketch effect" that was a hallmark of the early Kindles and Nooks. The browser–which you can use to buy or borrow books via Amazon–is also VASTLY improved from the Paperwhite's. It runs quickly and smoothly and makes for a better buying experience. With the Paperwhite I would put it down to download books over my phone before I'd use its built-in browser. As I've mentioned before, covers are a BFD for me. I loved both the classic Kindle and Paperwhite's covers. LOVED them. For the Kindle Voyage, on the other hand... well, it's been a bit of a journey. The first cover I bought was the ACcase Smart Shell Case. 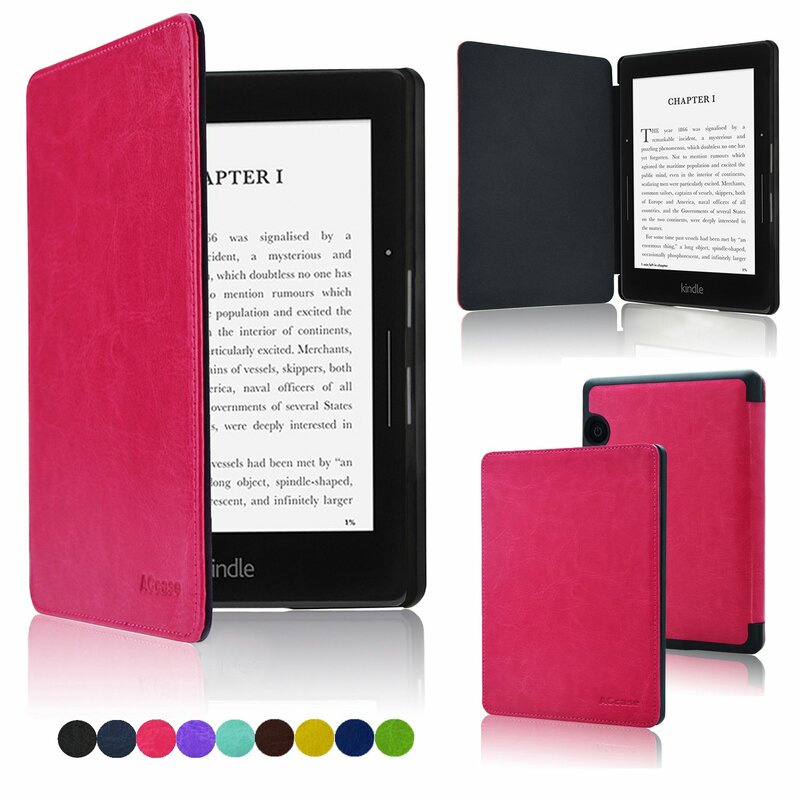 The color was very pretty, but the surface was extremely slippery, and there was a slight gap between the front of the cover and the Kindle. However, once I started reading with the cover flipped back, the slipperiness wasn't a problem and I liked the feel of it in my hands. However, I was somewhat unsatisfied and pretty sure there HAD to be a better cover out there. Which is why I decided to purchase another cover, the Flintie Protective Leather Cover. This one was not slippery. Yay! However, it felt cheap and dinky, and there was a much more significant gap between the cover on this one and the screen of the Kindle than there was with the ACcase cover. I DON'T LIKE GAPS. I used this cover for about an hour before switching back to the first one. And then I finally broke down and bought the Amazon-designed Voyage cover, which they call the Origami. The biggest negative with this one is it's expensive, like fifty freakin dollars (compared to the first two, which were around twelve dollars each). Uhg. BUT. But! It's also fantastic. 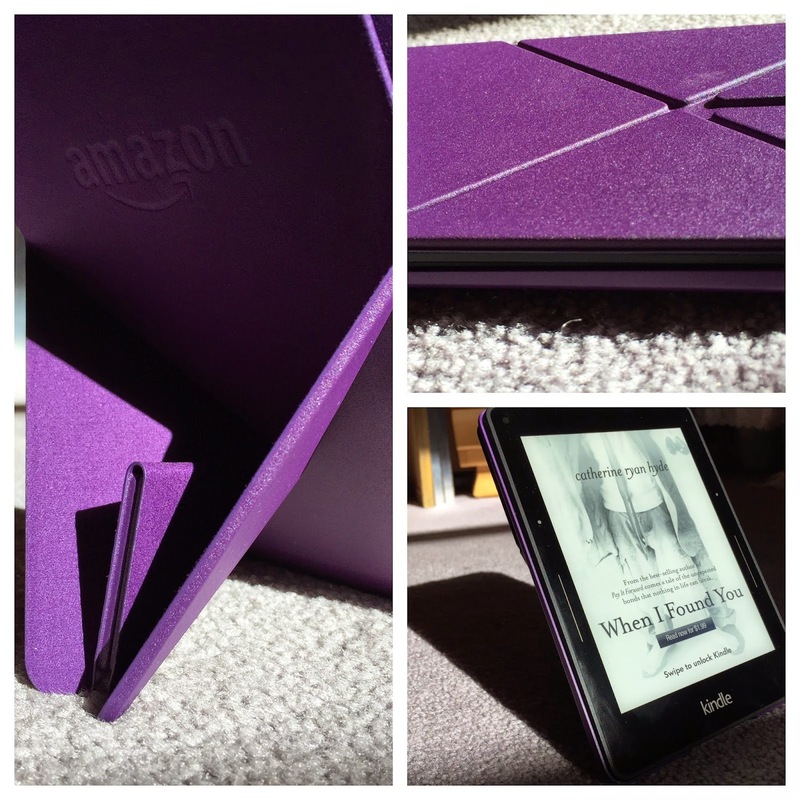 The surface of the cover is pleasantly grippy and not slippery, the front locks securely in place to both the Kindle screen and the back of the cover using magnets, and I love the origami feature that allows you to fold the cover and prop up the Kindle for easy reading while eating or cooking. So basically: the Amazon-designed cover is once again totally worth the price. If you're being particularly frugal for some reason, though, the ACcase is a not-completely-sucky alternative. The Kindle Voyage also comes with some minor, possibly-to-become-major-PITA annoyances that are worth mentioning. First and foremost, I don't know if this just my device or what, but the thing in the lower left-hand corner that tells you where you're at in the book is IMPOSSIBLE TO CHANGE. On the Paperwhite, it's easy to tap and switch between what page you're on, how many minutes you have left in the chapter, how many in the book, etc. Yes, that info's usually wrong, but hey. I like to stay misinformed. On the Voyage I can't even do that! If I tap on it nothing happens, unless I tap on the top to get the summary view, then return to the page view and THEN tap. I can see this sending me into Hulk Mode on a bad day. Also the auto-adjust feature, while nice, is overly sensitive. One minor tilt of the screen can send the screen into bright light or no light mode. However, I can turn off the auto-adjust if it ever gets to be too annoying. Those are really my only complaints so far. Purchasing the Voyage as a replacement for an older Kindle or as a dedicated ereader is definitely worth it! The changes to the device make using it feel much more intuitive and require less "thinking" on the reader's part than any of the previous Kindles. So far I'm definitely happy with it.